My Christmas gifts came super early this year. The first was in October when I was able to go see my son, my beautiful daughter in law and my two grandsons. The second will be home in about and hour!!!!!! So, instead of cleaning, I decided I need a table runner for the dining room table that had to be expanded to accommodate an extra person. 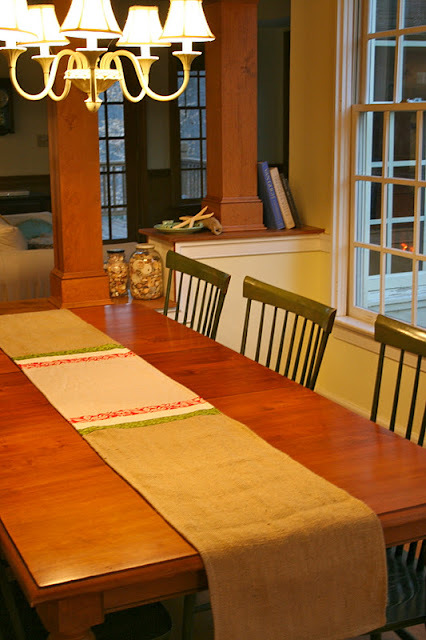 I saw this tutorial for a burlap table runner from Lindsay at Living With Lindsay and decided that a little Kate Spain was in order to make it perfect for me! Using the measurements from her post I decided to go with the 14 inch width and measured my table for a length of 108 inches. I cut my burlap ( after washing it) accordingly, grabbed some linen, my Kate Spain 12 Days of Christmas, some batting and some backing fabric ( I think it was Kona snow) and off I went! After taking the measurements for your table choose three (or more) of your 2.5 inch strips. I happen to have a jelly roll so it made it even EASIER! Quilt however you wish. 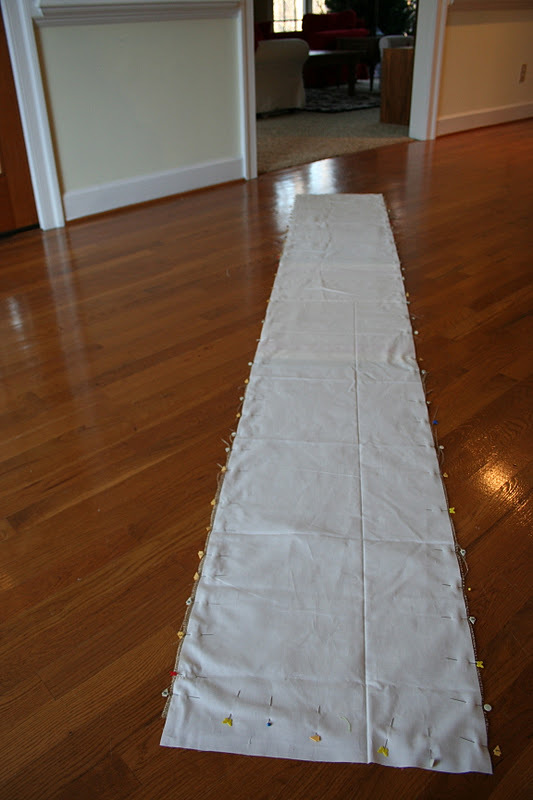 Using my invisible marker, I choose to do 1in lines on the linen and stitching on either side of the strips. I left the edges of the green undone until later.Simple!!!! When quilting is completed attach the burlap. Sew around the entire runner making sure to leave an opening to pull it inside out. I think I left a three inch hole. The after shots that are not very good but Tuesday is my running around to different kids functions day so I must apologize for the poor quality. Off to see my baby boy and give him big hugs!!!! Lovely. And it looks great with the bowl of apples! I LOVE this! Now I just need to find myself some burlap. What a great simple project!! Thanks for sharing! This is really cool! It looks great. So pretty and I love the burlap- a nice rustic touch. Your house is beautiful- love all of the big windows and natural light! 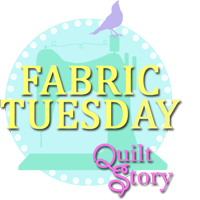 Here from Quiltstory....super cute runner! Love this table runner! Super simple and very elegant.